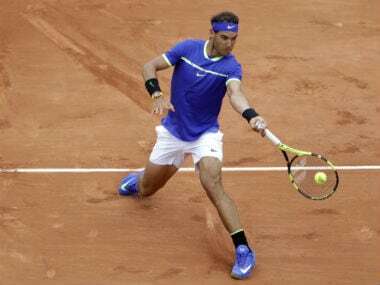 Paris: Nick Kyrgios believes the French Open is Rafael Nadal's to lose and that his generation will have to wait a little longer before releasing the old guard's grip on men's tennis. The fiery Australian, who famously defeated Nadal at Wimbledon in 2014 when he was just 19 and ranked 144 in the world, has still to get beyond the quarter-finals of a major. Indeed, the big four of Nadal, Novak Djokovic, Roger Federer and Andy Murray have captured 25 of the last 29 Grand Slams. Of the other four, Stan Wawrinka has three with just Marin Cilic at the 2014 US Open managing to play the role of shock gatecrasher. For Kyrgios, Nadal remains the overwhelming favourite to win a 10th French Open and take his personal majors haul to 15. 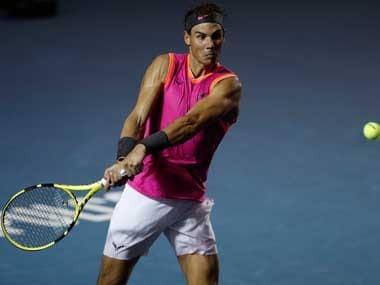 "Nadal, I don't think he's worried at all about anyone in this tournament, to be fair," said the 18th seeded Australian, who downed German veteran Philipp Kohlschreiber 6-3, 7-6 (7/4), 6-3 to reach the second round at Roland Garros. "Best of five, it suits him. He knows he's not gonna lose. Let's be realistic." It was 20-year-old Alexander Zverev's triumph over Djokovic in the Rome Masters final which prompted whispers of an imminent shift in power at the top of the game. But Kyrgios is not convinced that day has come, pointing to the contrasting fortunes of 23-year-old Dominic Thiem in Rome. The Austrian stunned Nadal in the quarter-finals but managed to take just one game off Djokovic in the semis. 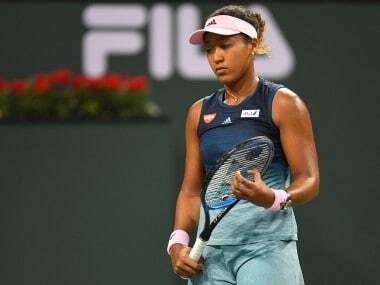 "I can't really see the changing of the guard happening anytime soon because of one tournament," said Kyrgios, who is playing in Paris having suffered hip and elbow injuries which ruled him out of the Rome and Monte Carlo events this spring. "I think the young ones have ways to go. Thiem played an unbelievable match in Rome to just beat him. "Then look what happened the next round, he's completely gone." Kyrgios managed to keep his combustible temper in check on Tuesday despite a long-running conversation with umpire Jake Garner over why some balls leave marks on clay and not others. He is still trying to learn to love clay, but he admits it's not easy. "What don't I like about clay?. I don't like how my shoes get dirty. When I'm back home I don't really train that much on clay because it makes my cars dirty, too." 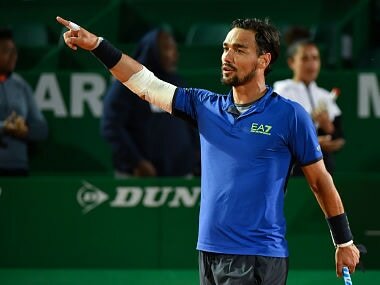 Kyrgios fired an impressive 20 aces and 40 winners past Kohlschreiber on Tuesday and goes on to face either Kevin Anderson of South Africa or Tunisia's Malek Jaziri for a place in the last 32.